theozfiles: “Strange days, strange tales” – a Valentich connection? “Strange days, strange tales” – a Valentich connection? On Monday 21 October 2013 35 years will have passed since young pilot Frederick Valentich disappeared on a flight to King Island in Bass Strait. 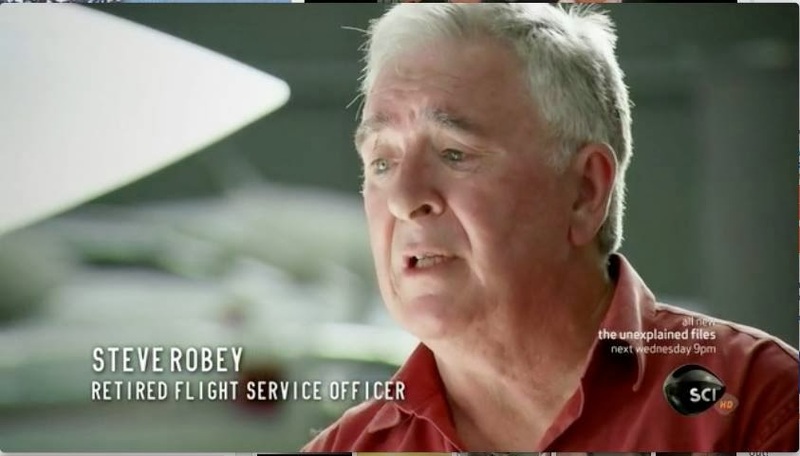 It is one of the major aviation mysteries of Australia. The following article has been prepared to see if there is anyone out there who can help with information pertinent to the story revealed here. 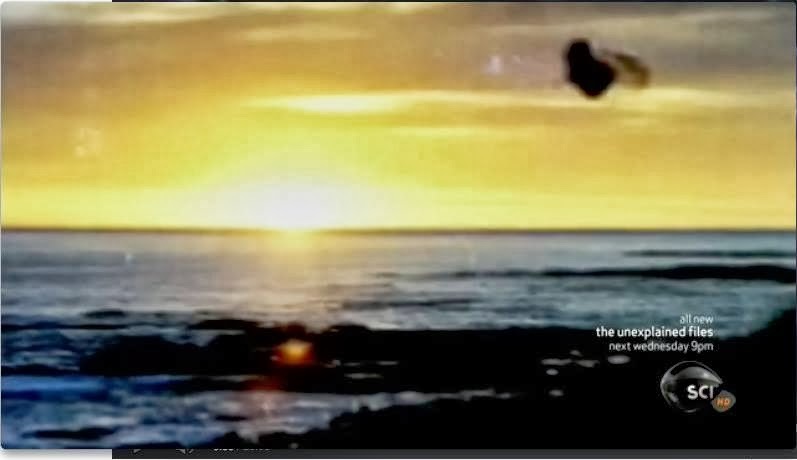 Consider this as a preliminary progress report on some strange days and strange tales in the lives of some UFO researchers pursuing a possible resolution of one of the stranger folios from the OZ Files – the Australian UFO story. “The Unexplained Files” series on the Discovery Science channel debut in September 2013 featuring a good recreation of the extraordinary 1978 Valentich mystery. My friend George Simpson (based in Melbourne Victoria) was instrumental in the excellent accounting of this story on the programme. The disappearance of young pilot Frederick Valentich and the Cessna (VH – DSJ, Delta Sierra Juliet) he was flying over Bass Strait and the UFO encounter he described in his conversation with Melbourne Air Service controller Steve Robey are all extraordinary aspects of one of the major aviation mysteries of Australia. The programme featured Steve Robey obviously still distressed about the disappearance of Valentich. Frederick’s younger brother Richard gave the family’s dimension to the story. Both these elements remind us that a disturbing and tragic element still haunts this mystery. George Simpson interviewed Roy Manifold who took some intriguing photos at the time and locality of Valentich’s departure from the Australian mainland on route to King Island in Bass Strait. There were many other interesting aspects described in the programme. 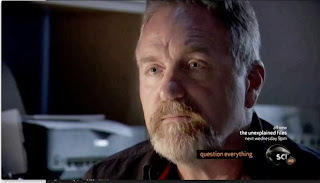 In the wake of the release of the long awaited official Valentich files from the Australian government’s Department of Transport during June 2012, (largely through the persistence of Keith Basterfield) which provided information for a wide range of conflicting theories, the Discovery Science programme reminds us that the disappearance of Frederick Valentich and the Cessna is still a mystery for which we have no certain answers. Dr. Richard Haines who investigated the case and authored a book on it – “Melbourne Episode – case study of a missing pilot” (1987) facilitated the airing of the actual strange sound heard at the end of Frederick Valentich's last radio conversation with Steve Robey. 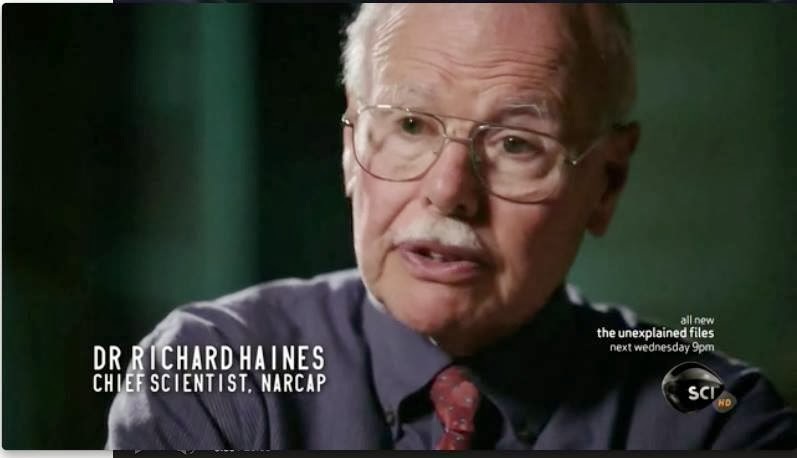 I heard the tape back in 1984 when I stayed with Dr. Haines in California. 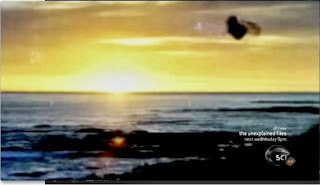 It was Richard Haines comment in the programme that the sound might be of contact between the Cessna plane (DSJ) and the UFO Valentich had been describing in the six minute conversation that caused me to suddenly reconsider a very strange story I had come across back in early 1995. The "Coonabarabran Times" of Coonabarabran, in north west country New South Wales, Australia, in its November 17th, 1994 issue, carried brief details of an apparent close encounter with a diamond shaped UFO near ground level on November 15th, 1994, on the Mendooran road to the south of the town. With the assistance of local police, I was able to interview the 4 principal witnesses to this apparent close encounter. The Mendooran Road UFO was initially seen as a large light source hovering over the nearby road. An approaching car appeared to cause the object to start moving. and slowly move closer to a farm house, where the 4 adults witnesses were observing it. At its closest point all witnesses described it as a massive object - a diamond shape with lights around the edges, with window like structures within the body of it. There was a very bright yellow light inside it. It appeared to be at tree height and of massive dimensions. As the 4 adults left the house verandah to go closer to the silent object, which seemed to be only 300 yards away and slowly passing along side the house area, it suddenly accelerated at a phenomenal speed and disappeared in the distance. After the object had passed by there was a tremendous high pitched engine noise, almost like a sonic wave. The details were so striking I decided to do an on site investigation. Further still I had long known that Coonabarabran seemed to be a haven for UFO stories. There were many reports that my friend Robb Tilley and I would investigate over the days we were in the area. Here are a few of them. On the same section of Mendooran Road of the November 1994 incident a driver coming from Sydney to Coonabarabran had an encounter in which the radio and other electrical items in the car were affected. I spoke with a gentleman who witnessed another massive diamond shaped object while timber cutting near Binaway, back in about 1979. His companion allegedly took a photograph, which my informant indicates he saw. It apparently showed a silvery shape with sections without the observed lights. The informant states he was told the army took the photo and he believes that his companion ended up in a mental home. He implied it was due to the photo incident. The Sydney Morning Herald of January 11, 1995 ran an article featuring a UFO sighting by Dr. John Dawe, the manager of the Sidings Spring Observatory, near Coonabarabran. Dr. Dawe is an internationally respected astronomer. The article stated that many months ago he was driving back from Sydney with his wife and daughter. "We were going up a hill near Merriwa, at the top of the Hunter, when I happened to look up at the sky. There was a uniform, grey cloud cover, but suddenly something seemed to detach itself, hover for a while, then fall vertically very quickly below the brow of the hill. I yelled an expletive, which made everyone take notice. My wife saw the same thing, but by the time we got to the top we couldn't see anything. "My tentative explanation was that it was a weather balloon. But it was grey, rather than silver, and was elliptical horizontally, not vertically." Dr. Dawe was quoted as saying it was "classic stuff." "It was something I still cannot explain. But I am 99.99 per cent certain it was nothing alien." Dr. Dawe did not respond to a letter I sent him, but another Coonabarabran astronomer told me that he felt Dr. Dawe's report was only unexplained because unfortunately Dr. Dawe could not stick around immediately after the sighting and thoroughly investigate the matter. The sentiment expressed was that an explanation would have been forthcoming had a prompt investigation occurred. So there were many stories to look into in the area. One of the area witnesses told me that I should seek out Laurie a local businessman, who had a lot of UFO stories to tell that he himself had heard. 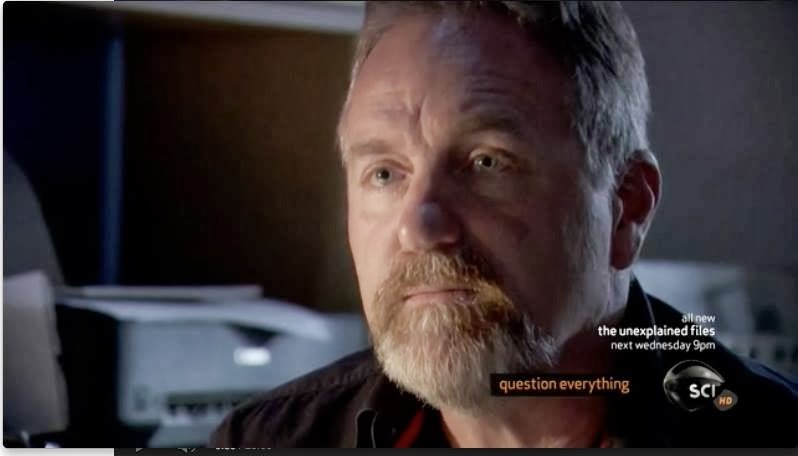 One story was utterly startling and unbelievable, but it was apparently connected to the Valentich mystery, initially told to me by one of the Coonabarabran witnesses who had heard it through Laurie. Others encouraged us to ask Laurie about other stories. We did both, but the story in question stood out. Laurie told us he had heard the story directly from a South Australian farmer who had bought a property in the north west of New South Wales. The farmer had come into his business and the talk had strayed onto UFOs. He shared with Laurie an experience he had on his South Australian property on the day following the disappearance of Frederick Valentich. The farmer said he was harvesting lucerne when he heard a loud screeching sound coming from the harvester. He thought it might have been a bearing, so he uncoupled the harvester from the tractor’s power drive, and jumped off and went back to have a look. The farmer was trying to work out the source of the continuing noise, when he became aware that he was in shadow. He looked up and saw he was directly underneath a large “saucer” shaped object, and going by the size of his harvester, he estimated it to be about 30 metres across (approximately 90 feet). The loud screeching noise continued. From directly underneath the object the farmer reportedly could see two concentric outer rings or bands that were counter rotational and were operating at different speeds. One went very fast, so fast that you had to blink to see that it was moving. The other one was moving very slowly in the opposite direction. There were two small protuberances that the farmer took to be rudders, and two large holes, one had ‘shimmering heat’ coming out, the other was shooting small flames. The farmer began to think there was something horribly wrong with this huge object and that it might crash down on him. So he ran to get out from under it. He got the impression that one of object’s engines had stopped working. He then told Laurie the most unusual thing was that he saw the massive object had a Cessna stuck to the outside of it – “the whole aircraft.” It was flat up against the side of the object with it’s tail hanging down. Laurie said he was not sure whether the farmer said there was engine oil running down the outside of the Cessna but he could clearly see the plane’s registration markings. He found a nail and scratched the plane’s registration number into the paint of his tractor. According to Laurie, the farmer said the object – “the saucer” – still accompanied by the screeching sound then flew away over a ridge in the direction of a nearby Army range. He went up to the top paddock and saw no plane, but he did see three tyre marks and some tracks from a plane. He followed the tracks to where they ended, and there was “a pool of ’flamin’ engine oil” on the ground. 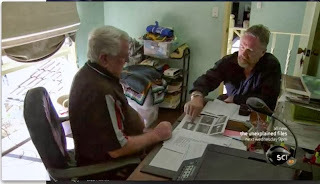 I recorded the story from Laurie on two separate occasions, one over the phone in January 1995 and face to face in Coonabarabran one month later in the presence of my friend Robb Tilley. Laurie was impressed with the story. Robb and I simply did not know what to think. Getting further information proved elusive. As I had lived through the Valentich mystery unfolding at the time in 1978 and had written extensively about the research and investigation of the extraordinary events I was acutely sensitive to the bizarre and strange aspects. I also had contact with Guido Valentich, Frederick’s father and I knew that he had been exposed to various claims about what had happened to his son. He even helped me investigate one claim, which ultimately ended in no real resolution, just another unverifiable claim. Sadly Guido Valentich passed away without a definitive answer to his son’s disappearance. With Laurie’s account from the farmer I had yet another extraordinarily bizarre and unbelievable claim. Laurie told me the farmer returned on another occasion with the Cessna’s registration number. It was DSJ the number of Valentich’s Cessna. This in itself was not convincing for me because that information was widely reported at the time of the plane’s disappearance. 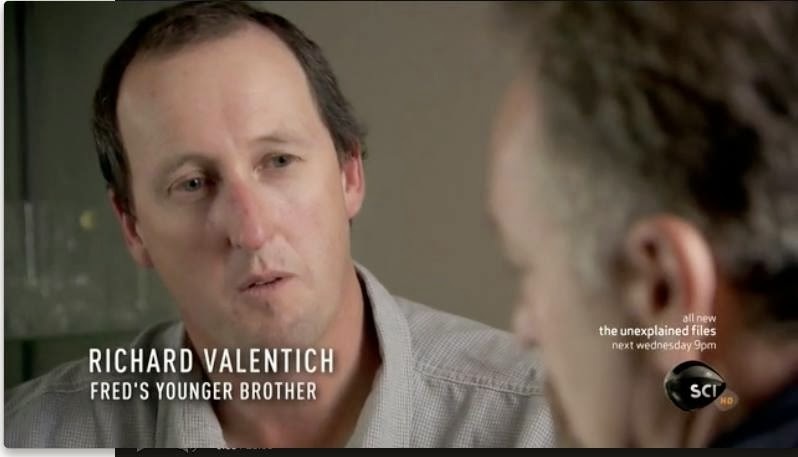 I did not want to burden the Valentich family or authorities with yet another unverified story. The biggest problem the story had for me then was that Laurie couldn’t recollect the farmer’s name. He told me he had written all this down in notes, but he had not been able to find them. I stayed in touch with Laurie for a while but despite attempts to come up with a name, without his notes we couldn’t progress the investigation unless we had a vast amount time and resources available. I circulated a brief account on Paranet (a favoured research internet facility) at the time but nothing came of it. 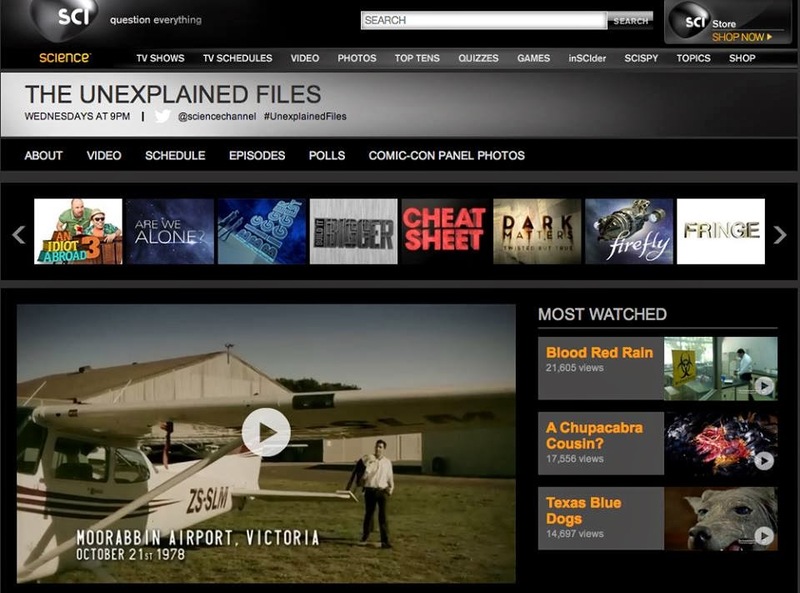 So the story stayed a sleeper until Dr. Haines comments on the Discovery Science programme “The Unexplained Files.” I immediately accessed my notes and tapes and began to evaluate whether the considerably improved resources of the internet, social media and other resources would now allow another attempt at getting to the heart of the story. Sadly, I quickly learnt that Laurie had past away about 7 years ago. I contacted George Simpson and shared the story with him. We both agreed that despite the bizarre nature of the story we should try to see if we could track down anyone who had knowledge of the story and see if we could get a name for the farmer. We have since been tracking down all sorts of clues. We have even talked with a farmer who described a similar experience - a UFO over his property with a Cessna attached to it on the day following the Valentich disappearance! His is a story with bizarre additions to the tale told to Laurie. It seems this farmer may not have talked to Laurie in Coonabarabran. He was not from South Australia and his property was in southern central News South Wales near the Victorian border! 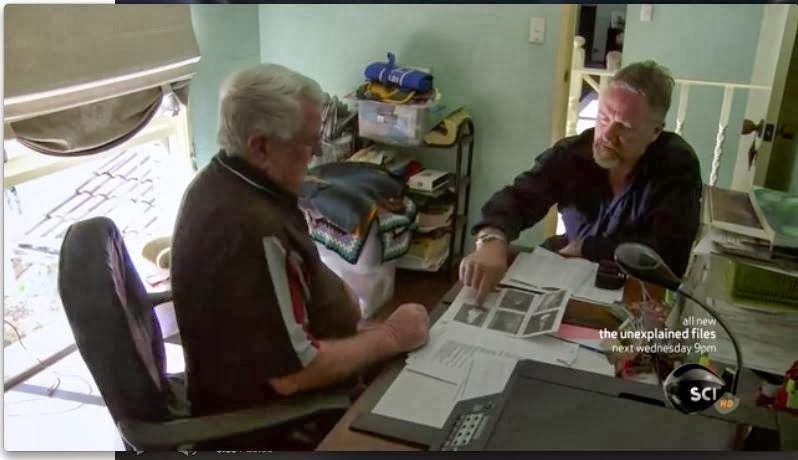 The former farmer, from southern New South Wales, talks of a part of his property he gave over to UFOs that would land from time to time. This became an obsession that his neighbours became aware of. He even tried crude strategies to catch the UFOs. 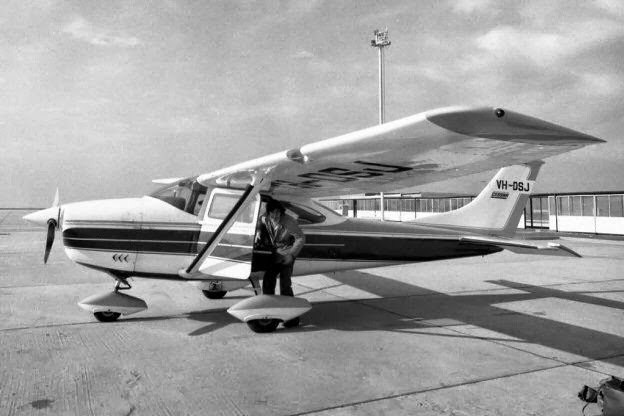 Then allegedly, there was the day and night the UFO came with a Cessna plane attached to the side of it. The story this farmer told included a visit to his homestead by a pilot, accompanied by a strange person, seeking aviation oil, a strange story of a pilot “forced” to fly a Cessna away from the area and an impossible tale of an object from the plane left in a tree stump as a clue, the farmer thought, that the pilot and “the plane” had been there, hoping to be found. The farmer thought this was a flight recorder “black box,” but this certainly could not be, as civilian Cessna aircraft, such as VH-DSJ, did not have one. That connection and other factors make this former NSW farmer’s story both troubling and problematic. His former neighbour, who I have spoken to, does not confirm details attributed to them, but does confirm curious UFO stories all coming from the former farmer, some seemingly predating October 1978 – the period the Valentich disappearance occurred in. Had he heard the story of the South Australian farmer and made it his own, absorbing it into his own UFO obsessions? There are perhaps curious echoes with other diverse tales of Valentich returning from Spanish, Russian and American sources, none which convinced me upon trying to thoroughly examined the dubious evidence for them. We have not yet found the South Australian farmer who spoke with Laurie. All our investigations to date have supported that Laurie had a great memory, but unfortunately in this case when it came to names we need his notes and these may be lost to us. We hope not. Our investigations continue as we go through a number of different names and clues. We hope that our investigation or someone reading this might have facts that will stand up to scrutiny and give us the possibility of figuring out if this wild tale is the stuff of UFO high strangeness and an answer to the Valentich mystery, or just another ultimately unverified story. Hopefully time will tell and we will be able to report further on this fascinating or beguiling story. Some things are certain in our wild ride – these are strange days, strange tales. 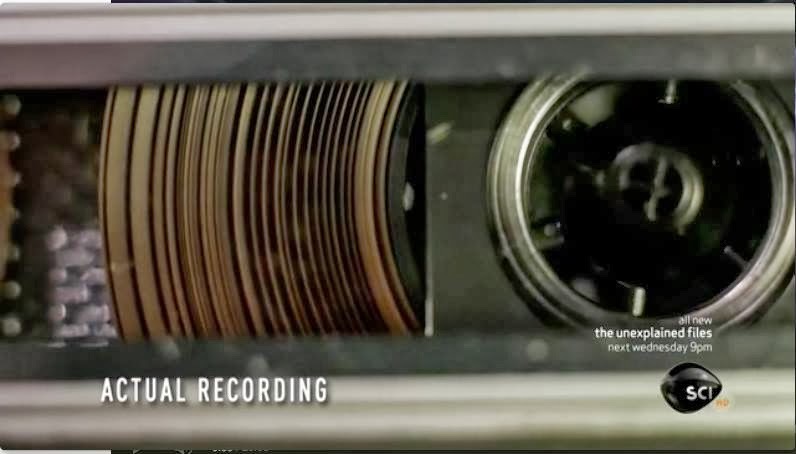 Far less certain is whether we are trying to resolve a genuine story, strange echoes of one, or a tall tale from down under – a strange kind of bush “urban legend” in the making. So far it has been an intense, intriguing and occasionally frustrating investigation of a tale from the OZ files. Apparently he is alive and well and has tried to communicate what happened to him! I wish to help; however, by this I mean that I have forwarded this article to an aviation-related mailing list and a web site Forum. The first is the U-Tapao Alumni Association with members who served in Thailand during the Second Indo-China War; the second is the Thailand-Laos-Cambodia Brotherhood (TLCB). 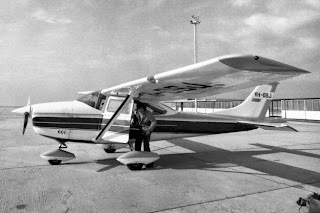 Spelling quibble -- the paragraph above the first Cessna photo has the word 'conservation'. This word should be 'conversation'.